If you‘re looking for a firm that will focus on your individual needs, and always treat you like a client who matters, look no further. Our firm is large enough to offer a full range of professional services, but small enough to give you the individual attention that you deserve. 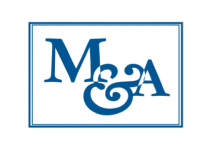 Matthews and Associates offers bookkeeping to our clients in a way to meet and support the needs they have. We cater to the professional individual who needs personalized service. We are a QuickBooks certified Pro Advisor office. We will gladly help set up your QuickBooks on site and offer training for you and your staff. We offer one on one training, and will continue to support you until you are comfortable with using QuickBooks.